Apna Recharge offers a variety of top tier payment services, among one is our Paymentsolution. Our digital payment services are among the best in India. 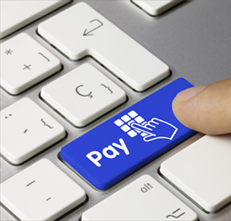 With support from international payment gateways, we offer unparalleled reliability and security our clients. This means our client can use our online payment solutions to pay for online goods granted the trader supports it. We bear the trust of online clients all over India and we aim to stay true to every customer, helping them to grow their businesses. With online trading blooming at a high rate, you can be certain that our payment solutions will aid you in your online payments.